What do back pressure regulators do? A Back Pressure Regulator is a device that maintains a defined pressure upstream of itself (at its own inlet). When fluid pressure exceeds the set point the valve opens more to relieve the excess pressure. Back Pressure Regulators work similarly to relief valves, but the emphasis is on steady state pressure control instead of on/off actuation. Pressure reducing regulators reduce a higher supply pressure at the inlet down to a regulated lower pressure at the outlet (downstream). Back-pressure regulators work the opposite way. They regulate the higher inlet (upstream) pressure by opening up only as much as necessary to hold back the desired pressure at the inlet (upstream). 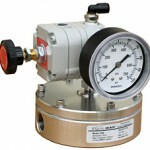 Equilibar back pressure regulators are dome-loaded to provide improved performance. View all back pressure regulator products. The term back pressure regulators can be used interchangeably with the term back pressure valves, though the term “valve” sometimes infers a different control mechanism. In larger industrial applications, for example, traditional flow control valves are typically used to regulator pressure and other variables. Back pressure valves and regulators are also similar to pressure relief valves in that both control their inlet pressure. However, the purpose for a pressure relief valves is to control an inadvertent pressure excursions, not for steady state flow control. BPR’s are also sometimes referred to as pressure sustaining regulators or pressure sustaining valves, especially where used downstream of a pump to maintain pressure. Equilibar has developed a unique technology which provides extremely high pressure stability across widely varying flow rates and process conditions. Learn more about our dome-loaded back pressure regulators and how they work. Can the Equilibar® back pressure regulator be substituted for a pressure reducing regulator? Some applications can be modified to accept back pressure regulator. Why would you do this? If you need extremely high precision in the low pressure range, or the convenience of accurately controlling a pressure from a remote computer signal, it may be worthwhile to determine if the Equilibar® back pressure regulator can still meet your needs. 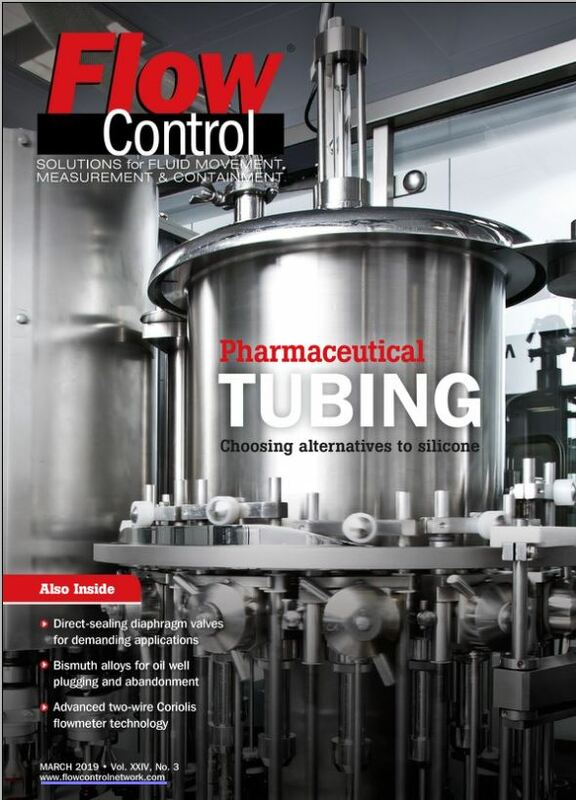 Can you recirculate excess fluid back to an upstream vessel (i.e. a recirculating pump)? Are you working with a low flow rate of air, water, or other fluid where an excess quantity can be economically exhausted or recycled? If the answer to either of these is yes or maybe, feel free to contact one of Equilibar’s application engineers for a free consultation about your unique requirements. We will help you determine if a back pressure regulator is applicable for your application. If we can’t help you, we will recommend other products that will. The schematic at right is an example of the Equilbar® being in place of a standard regulator to supply ultra-precise low-pressure flow control. The variable flowmeter supplies constant flow to the Equilibar®, which then exhausts only the portion not needed by the downstream process. For liquid or rare gas applications, the exhaust could be replaced by a recirculation pump to recover the excess flow. 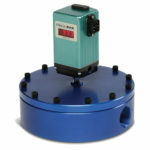 Learn more about Equilibar’s unique high precision back pressure regulators.